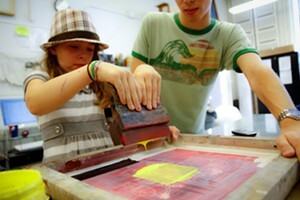 Drawing & Painting | BCA Studios | Classes (Paid) | Kids VT - small people, big ideas! This workshop is designed for the young artist who loves to draw and paint. Join us at BCA’s painting studio to experiment with different mediums and techniques while learning how to make your drawings and paintings even better. Ages 6-11. Tues, Feb. 26, 8 a.m.-3 p.m. $70/person; $63/BCA members.